The revival of the Petal Farmer’s market is apparently what many have been waiting for. Over 30 vendors were on hand for the first market of 2018. It was a smashing success! The amazing thing is that the fresh produce is still yet to come. Cool weather this spring has delayed many crops. But, that didn’t bother the hundreds that came to the market last week. The Petal fire department brought the BIG firetruck for the kid’s to explore. Live rabbits and chickens brought smiles to all of the children and the variety of booths brought smiles to their parents. Live music and food vendors rounded out a wonderful day of family friendly fun. Plan on the market expanding every week and make it a part of your plans for the 3rd Saturday of the month. More produce and vendors will be coming on board as the season progresses. https://petalchamber.com/wp-content/uploads/2018/04/0024-4-x-6.jpg 800 1200 Petal Area Chamber of Commerce https://petalchamber.com/wp-content/uploads/2018/01/petal-area-chamber-of-commerce-300x175.png Petal Area Chamber of Commerce2018-04-26 16:10:262018-04-27 10:35:49It's what you've been waiting for! Petal Farmer’s Market – It’s Back! WOW! Petal is excited about the return of our Farmer’s Market. There will be a few changes to the market….for the better we hope. Not only will the market offer fresh produce and products from locally grown fruits and vegetables, but it will also offer art, crafts, homemade soaps, food vendors, entertainment and more! It will also be much more visible. The new location is on Central Avenue directly across the street from the Petal Middle School gymnasium. 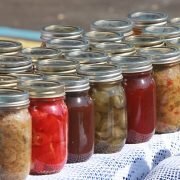 The market will be open on the 3rd Saturday of each month beginning on April 21 and lasting through the growing season. On April 21, the Petal Fire Department will have a fire truck on hand for children to investigate. Also, look for the live animals for the kids to see. Every weekend will have unique activities for the family to enjoy. Help us grow the market by supporting the vendors and visiting every weekend. The market welcomes church and civic groups that would like to sell items for fundraising. Those interested in participating as a vendor can pick up an application at Grand Central Outfitters located at 126 E. Central Avenue. You can also call the chamber office to have a form emailed to you. See you at the market! 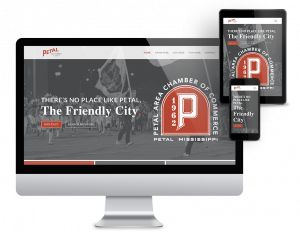 https://petalchamber.com/wp-content/uploads/2018/01/petal-area-chamber-of-commerce-300x175.png 0 0 Petal Area Chamber of Commerce https://petalchamber.com/wp-content/uploads/2018/01/petal-area-chamber-of-commerce-300x175.png Petal Area Chamber of Commerce2018-04-10 16:47:512018-04-10 16:47:51Petal Farmer's Market - It's Back! 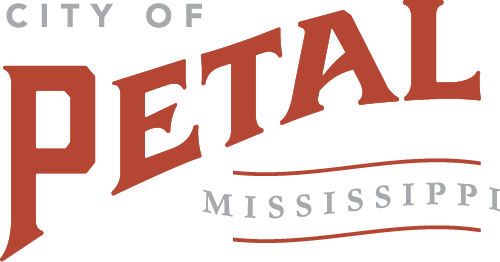 The Petal Area Chamber of Commerce and Petal Jaycees have announced a new partnership. 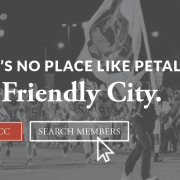 The Petal Jaycees will act as the official Junior Chamber and Young Professionals Network for the Petal Area Chamber of Commerce. This partnership will help us to create a more engaged and active group of young professional in our Chamber and community. 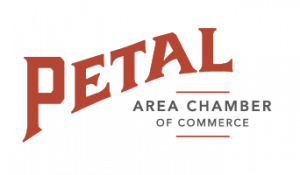 The Petal Area chamber of Commerce recognizes the need for leadership and growth opportunities for young professionals in the Petal area. It also realizes that the Jaycee organization was founded to do just that, as the Junior Chamber (JC) it promotes the leadership skills within each member utilizing Management, Individual, Community and Membership development. Rather that duplicating the programs that the Jaycee organization has 97 years of history in accomplishing these goals, the Petal Area Chamber of Commerce would like to promote the Petal Jaycee chapter as its Young Professional program in order to develop the future leaders of Petal, as well as to support an organization that commits to the betterment of our community. The Petal Jaycees are actively recruiting young citizens ages 18-40 with energy and insight to become a part of their organization. This partnership is going to be a valuable benefit to members of both organizations. It will provide many opportunities to the up-and-coming generation of business and community leaders while providing meaningful relationships with the established network of Chamber members. The Petal Jaycees will have access to all chamber events to promote the Jaycee organization. In addition, the chamber will help promote the Petal Jaycee events through its website, Facebook, and newsletter. The Petal Jaycees will make a yearlong commitment to a community project in Petal and donate at least 50 hours of service throughout the year. It’s definitely a WIN-WIN situation. Interested individuals may call 601-909-8022 for more information. You may also find them on Facebook at Petal Jaycees. We are looking forward to working together for Petal!